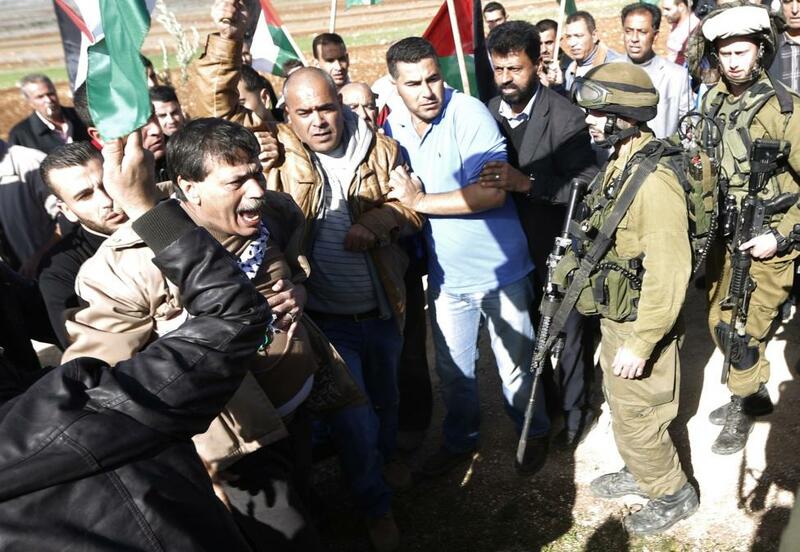 Palestinian official Ziad Abu Ein (L), in charge of the issue of Israeli settlements for the Palestinian Authority, argues with Israeli soldiers during a demonstration in the village of Turmus Aya near Ramallah. TURMUSAYYA, Palestinian Territories - A senior Palestinian official died on Wednesday after he was struck by Israeli forces during a protest march in the West Bank, prompting international calls for an investigation into the incident. The Palestinian leadership vowed to respond to what president Mahmoud Abbas called the "brutal assault" on Ziad Abu Ein, who was in charge of the issue of Israeli settlements for the Palestinian Authority (PA). European Union foreign affairs head Federica Mogherini said reports of excessive use of force by Israeli troops were "extremely worrying", and demanded an "immediate, independent" inquiry. The UN special envoy for the Middle East Peace process, Robert Serry, urged Israel to conduct a "prompt, thorough and transparent investigation" into the death. Ziad Abu Ein, a Palestinian minister, was among Palestinian and foreign activists confronted at an Israeli checkpoint while heading to a demonstration against Jewish settlements. The minister died shortly after an Israeli border policeman shoved and grabbed him by the throat. 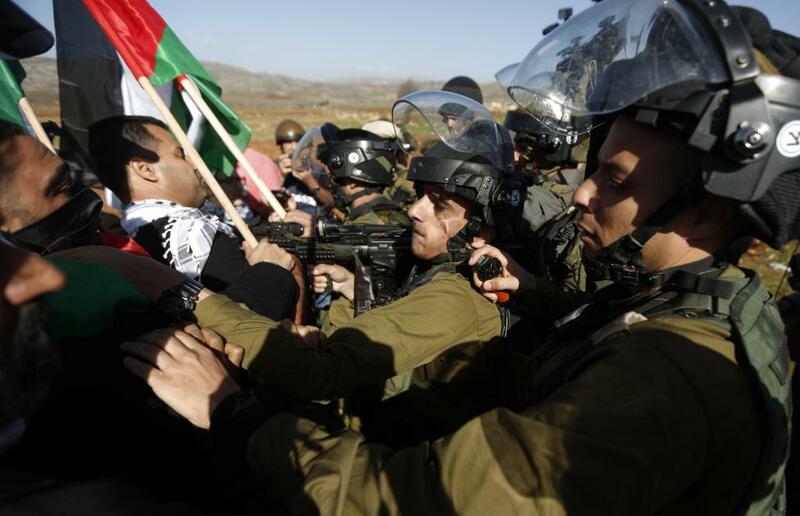 Israeli soldiers and border policemen fired tear gas and sound grenades at the protest group and a scuffle ensued. 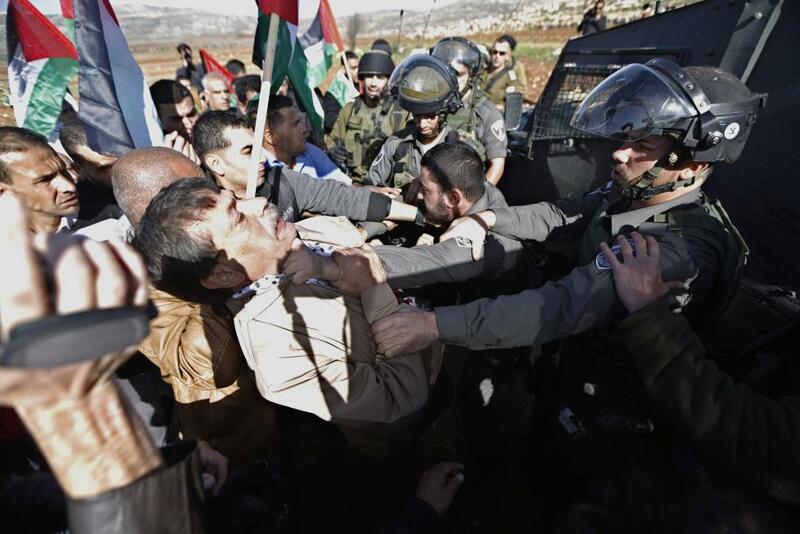 Border policeman pushed Abu Ein and grabbed his neck firmly with one hand. 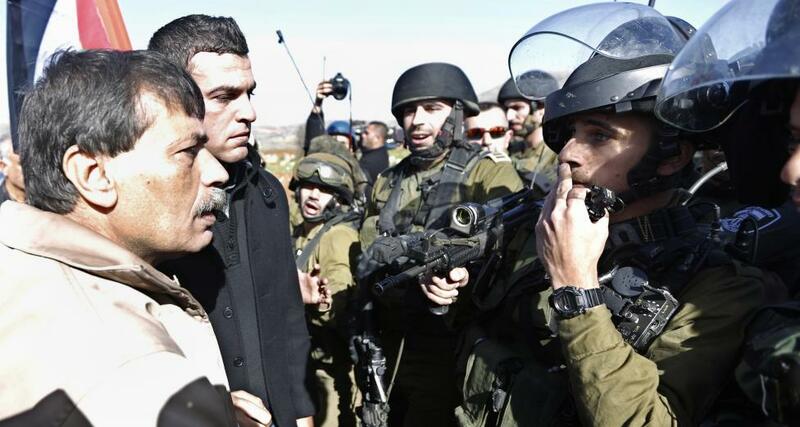 Footage of the incident and pictures taken by Reuters do not show Abu Ein responding with any violence. Minutes later the minister began to look faint and fell to the ground clasping his chest. 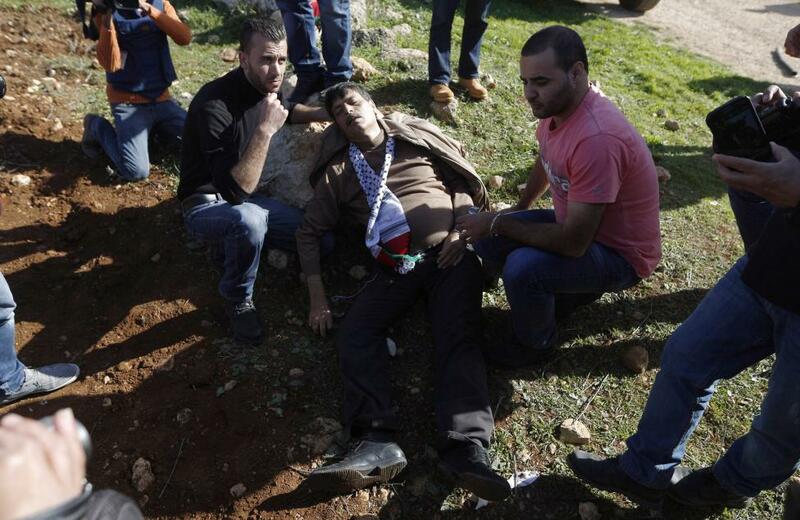 The Palestinian minister died on his way to hospital. It was not clear what caused the death of the minister. An autopsy is being carried out with Palestinian, Israeli and Jordanian pathologists present. Palestinian President Abbas described incident as "barbaric act which we cannot be silent about or accept". Israeli Defence Minister Moshe Yaalon said in a statement: "We are sorry about his (Abu Ein's) death." Israeli-Palestinian peace efforts have stalled since talks collapsed in April despite a concerted diplomatic drive by US Secretary of State John Kerry. Washington said on Wednesday that Kerry would head to Rome on Sunday to meet Israeli Prime Minister Benjamin Netanyahu on issues including "recent developments in Israel, the West Bank, and Jerusalem and the region". A former PA deputy minister, Abu Ein, 55, was the most senior Palestinian official to die in a confrontation with Israeli forces in recent years. His death was "a barbaric act that cannot be tolerated or accepted," Abbas said, declaring three days of mourning. Neighbouring Jordan condemned the incident as "a crime" and denounced "clear evidence of human rights violations by the Israeli army". 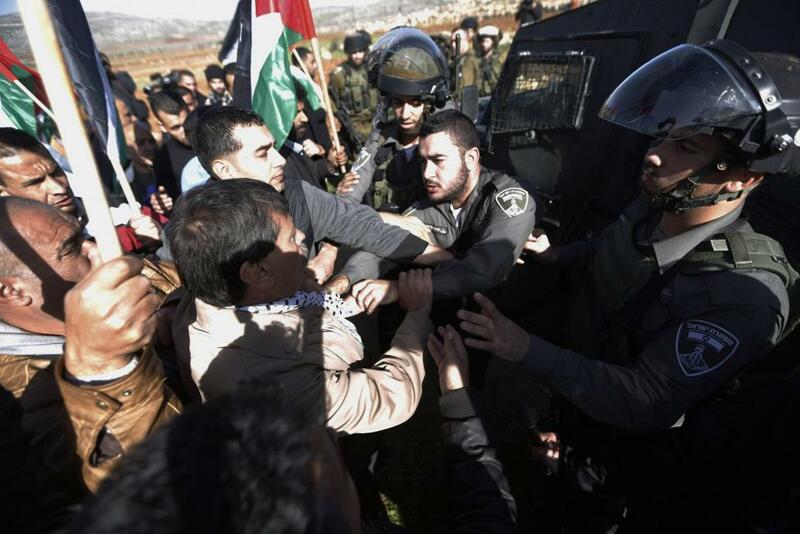 The confrontation erupted as Abu Ein took part in a march of about 300 Palestinians who intended to plant olive trees as a symbolic act of protest against Israeli settlements, an AFP photographer said. The group was confronted by Israeli soldiers in the West Bank village of Turmusayya. 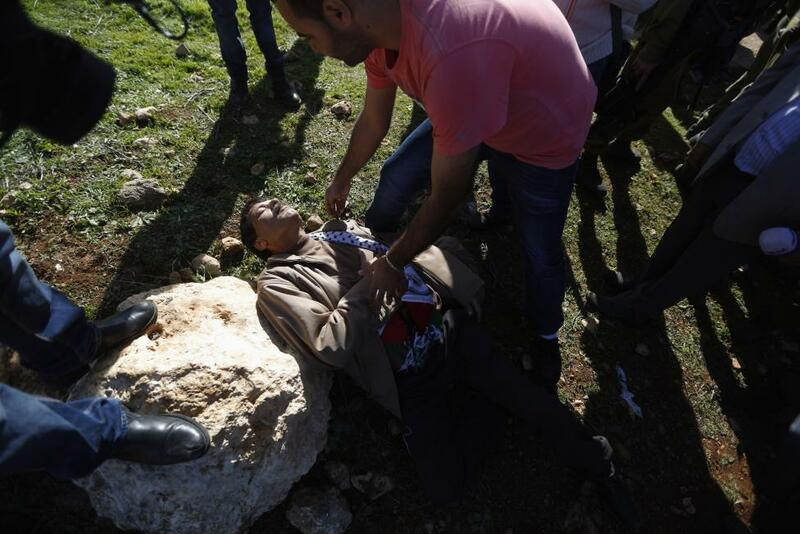 Tear gas was fired, three soldiers grabbed Abu Ein and he was struck in the chest, the photographer said. 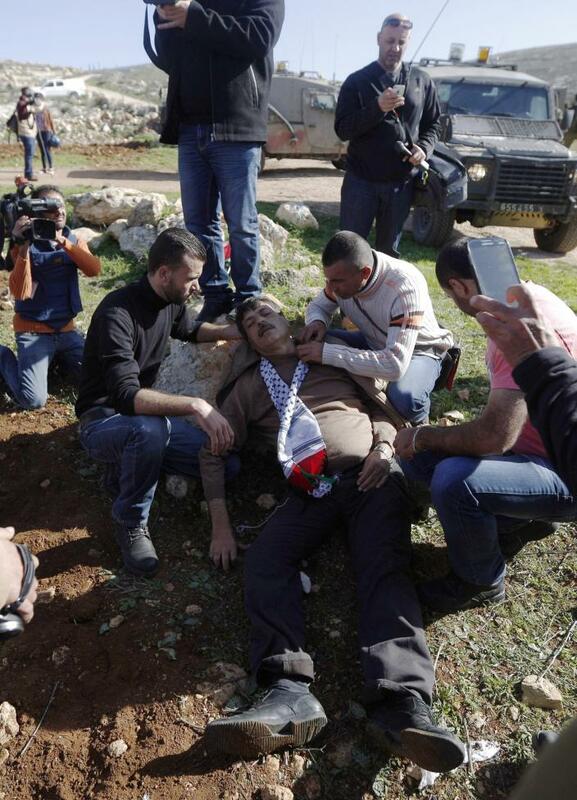 Abu Ein fell and an Israeli army doctor rushed to treat him before he was taken to hospital. Ahmed Bitawi, the director of the Ramallah hospital, told AFP that Abu Ein "was martyred after being beaten in the chest". Abbas said his death would not go unanswered. "We will take the necessary measures after the results of the investigation into the incident." 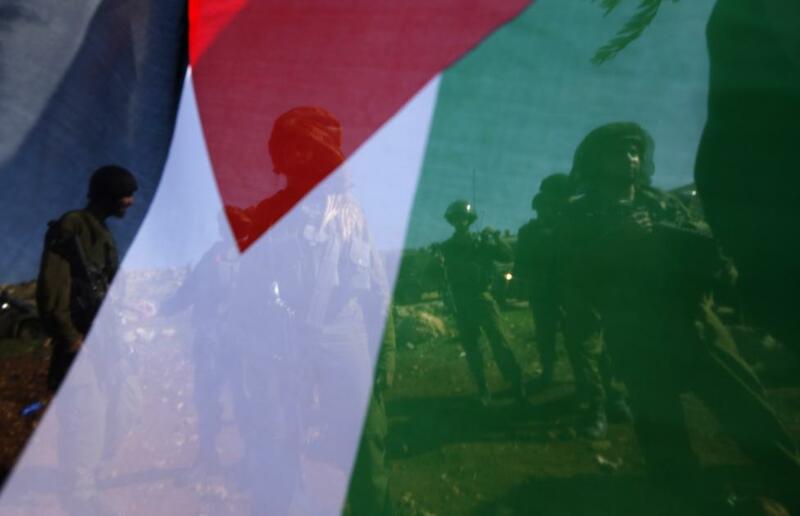 The Israeli army, or IDF, said it was "reviewing the circumstances" of the incident and had proposed a joint investigation with the Palestinians. 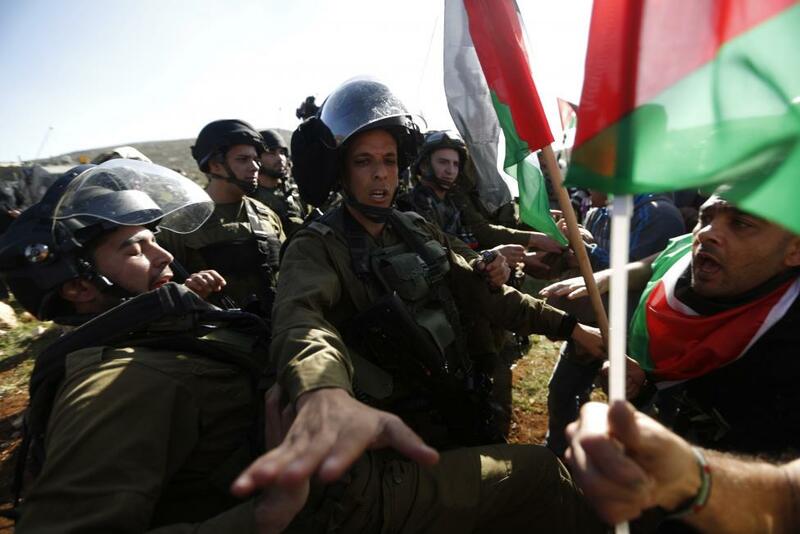 A statement said Israeli forces had been confronted with "approximately 200 rioters". "Forces halted the progress of the rioters ... using riot dispersal means," the statement said. It said an Israeli pathologist would be joining a delegation of pathologists from Jordan to examine the incident. The Islamist movement Hamas, the de facto ruler in the Gaza Strip, issued a statement mourning Abu Ein's death and calling on the West Bank-based PA to cease security coordination with Israel. "The time has come to rally all our forces in facing the criminal Zionist occupation and stop all sorts of security coordination with the occupation," a statement said. Hours later, near Ramallah, Israeli troops shot and seriously wounded a 14-year-old Palestinian in the head during a clash at Jelazoun refugee camp, Palestinian security officials and medics said. 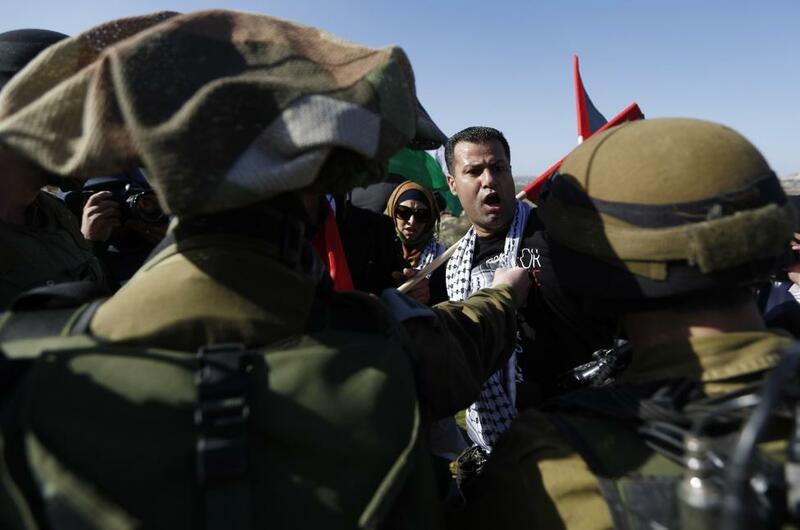 The officials said the clash erupted in response to the death of Abu Ein. 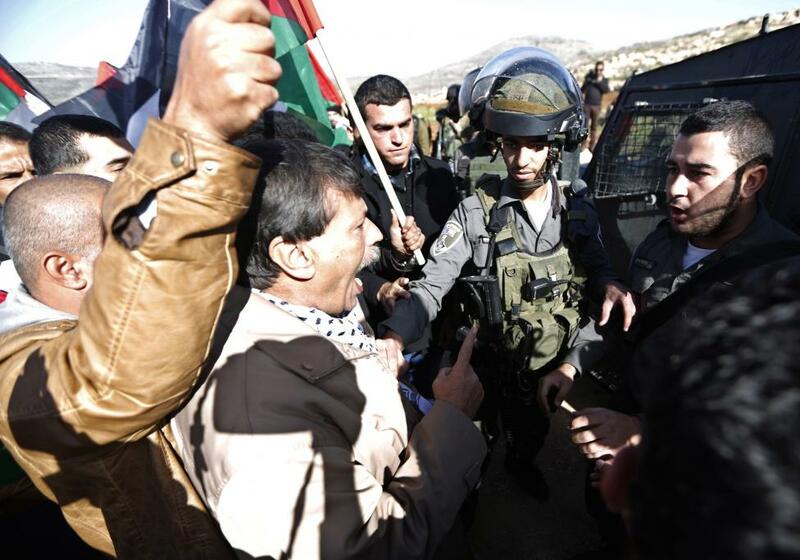 Shortly before his death, Abu Ein was seen on Palestinian media berating the Israeli army for blocking the march. "This is the occupation army which terrorises the Palestinians. We came to plant trees in our Palestinian land," he said. "This is the terror of the occupation army, which oppresses our people." Abu Ein had previously been arrested and imprisoned by Israel. He was extradited from the United States in 1981 over the killing of two Israelis in 1979 and sentenced to life in prison, but released in 1985 in a prisoner exchange. Beside his role in the PA monitoring Israeli settlements and the separation barrier, Abu Ein was a member of the Fatah Revolutionary Council and previously served as deputy Palestinian minister for prisoner affairs. His death follows months of tensions between Israelis and Palestinians and a wave of unrest in the West Bank and Arab east Jerusalem. Israelis are on edge after recent "hit-and-run" car attacks by Palestinians that killed five people, as well as an assault last month that saw two Palestinians burst into a Jerusalem synagogue, leaving four rabbis and a policeman dead. The tensions have been heightened by Israeli announcements of new settlement construction in east Jerusalem and the West Bank.